Bitzer is a global leader in the manufacture of compressors for refrigeration, air conditioning and heat pump applications. Renowned for their reliability and efficiency, Bitzer compressors, packs and condensing units are specified by many of the world’s leading end users – in sectors as diverse as food and drink manufacture, food retail, transport, cold storage and industrial process cooling. We wish all entrants and finalists good luck in the forthcoming awards, and look forward to celebrating and toasting the industry’s achievements at the finals event in the New Year. Our customers trust us for our technical expertise. It’s at the heart of all we do. Every day, we solve big and small problems. Whether it’s the design of new energy-efficient refrigeration equipment or the delivery of essential service parts, it’s our in-depth product knowledge that makes all the difference. Johnson Controls Hitachi Air Conditioning Europe SAS, a subsidiary of Johnson Controls Hitachi Air Conditioning, incorporates all activities for air conditioning products, including sales, manufacture and service operations across the European market. Building its reputation of quality engineering for over 100 years, the range of innovative heating, cooling and ventilation products manufactured under the Hitachi brand for home, commercial and industrial applications are engineered for seasonal efficiency and supplied with a generous manufacturer’s warranty. Hitachi brand products are available direct or from an extensive network of approved distribution partners. PACAIR has a proven record in providing multi-disciplinary Air Conditioning solutions attained through years of excellence in the design, application and supply of Air Conditioning systems. As an Air Conditioning Supplier, PACAIR has successfully evolved its range of expertise. Through continual development and improvement we keep ourselves at the forefront of the industry, always striving to maintain our knowledge of current regulations, new procurement routes and innovative products. Our reputation has been built on close customer liaison and a strong eye for detail. We recognise the importance of communication throughout a project’s development – from the early stages of conception right through to final completion – and beyond. We never regard our projects as ‘just another job’, if you’re not happy, we’re not happy. We are pleased to be an approved ‘Value Added Reseller’ for the Mitsubishi Electric product brand, as a market leading product with the very best in energy efficient controlled systems our partnership offers a winning combination for today and the future. We supply Toshiba’s and LG’s Air Conditioning as a reseller, we have access to the full range of quality products and services. We work closely with our clients so we understand your needs, design a bespoke solution and provide the advise and technical support that provides the customer with a complete solution “Cradle to Grave”. In addition to providing a high quality service to our customers, we pride ourselves on building strong, long term relationships with our customers and supply chain. In doing so, we not only reduce the risks, but also provide our clients with the peace of mind that they value so much. Smith Brothers Stores is one of the largest and oldest independent merchants operating from the UK directly focusing on supplying to the commercial and industrial mechanical services sector. Operating from England and Wales, SBS now has 14 depots which includes a head office in Blaby, Leicester. With history dating back to 1897, the company is soon to enter its 122nd year, remaining family owned with the 5th generation present within the 300+ strong workforce. The core business specialises in the distribution of pipework, valves, air conditioning along with all associated fittings and ancillaries. The company continues to increase both the product portfolio and geographical coverage while still remaining loyal to its core values of; stock, service, staff. We have ex-Daikin staff members along with unrivalled stock levels of product, so lead times are a thing of the past with SBS. 3DPlus is a new joint business venture between Beijer Ref UK and Mitsubishi Heavy Industries, which has been established to provide specialist design and after sales support for the full range of MHI air conditioning products. This collaboration between Manufacturer and Distributor ensures that 3DPlus is in a unique position to offer the perfect blend of commercial and technical expertise to the customer for MHI products. 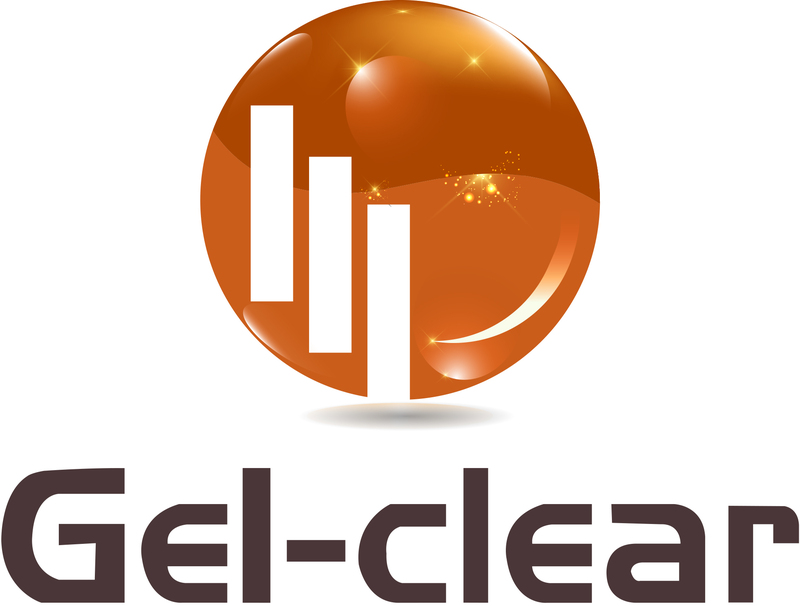 A recognised market leader in the manufacture and supply of coil cleaners and service equipment to the air conditioning and refrigeration industry. Established in 1982, Advanced has built up an outstanding reputation as the provider of world-beating equipment for AC&R service engineers. To achieve that position, it has constantly scoured the globe for products that offer exceptional performance. Fixxy was formed in the summer of 2013 by Dean Blackwell & Damian Price who, together, share over 20 years’ experience in the A/C Wholesale Sector. Fixxy’s primary objective is to offer added value to its customers through unrivalled service, low prices & a ‘never say no’ attitude to its customer’s needs. It offers 24 hr ordering, free AM deliveries to site & Saturday opening, unique in the sector, and covers most of the UK on its own fleet of transport. Pump House is a leading supplier of ancillary products to all HVAC and refrigeration markets with a range of over 2000 products, which are defined by market sector. Our products are available via most major and independent wholesalers/merchants across the specified market sectors. Listening to feedback from our customers and installation engineers has given us the ability to create new products. Developing and sourcing new products quickly has enabled us to see year on year growth and successfully expand the business. Our sales and technical staff are able to offer advice and guidance on product selection, best practice and installation queries to both the distributor network and the installation engineer. “We are a world leader in heating and cooling and offer an extensive range of air conditioning products for commercial and consumer use. The strength of our brand is reflected in the quality and innovation for which Samsung is globally acclaimed. Innovation in cooling and heating means dependability, advanced technology, exceptional performance, and higher efficiency. We have a dedicated research and development team and the feedback from our consumers and installers have enabled us to develop and produce industry leading products, which are used in a wide range of coffee shops, hotels, offices to maintain a comfortable environment. In just under 20 years, First Choice Catering Spares has grown its offering to establish itself as the UK’s unrivalled spare parts supplier for the commercial catering and refrigeration equipment. Based out of award-winning facilities in Cannock, Staffordshire, First Choice puts an emphasis on working closely with the industry’s leading brands and is able to supply genuine Original Equipment Manufacturers (OEM) spare parts, meaning its team of over 150 staff are always able to provide a fix to the common problems that engineers face. The team at First Choice boast a specialist knowledge of the refrigeration trade, supplying spares for refrigeration equipment from all the major manufacturers in Europe and North America, as well as sourcing and supplying hard-to-find spares from some of the refrigeration industry’s smaller brands. First Choice also have an award-winning training arm, Combico UK, which is certified by Logic Certification to run gas courses and carry out assessments under the Nationally Accredited Certification Scheme for Gas Fitting Operatives (ACS). It caters for both the experienced gas engineer looking to renew ACS qualifications or an engineer that wants training to broaden skill sets. 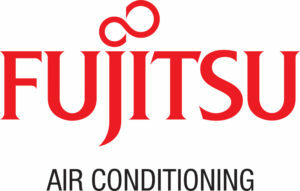 Fujitsu General Air Conditioning UK Ltd. A world leader in design and technology. We design and manufacture a broad and innovative range of air-conditioning systems to provide the perfect solution for both residential and commercial environments. Fujitsu has long been known for its comprehensive range of advanced and highly reliable units. Now, UK customers have both great products and superb service, delivered by our professional and friendly Award winning Sales and Customer Support teams. Fujitsu has stylish, high efficiency air conditioning equipment to suit every project from single-split domestic installations to major VRF projects in the largest buildings; including offices, hotels, retail outlets and many other commercial and industrial applications. All Fujitsu air conditioning, splits and VRF, provides heating as well as cooling, either through highly efficient heat pumps – recognised as renewable energy sources – or heat recovery, as featured in the new VR-II 3-Pipe VRF system that can simultaneously heat and cool different areas from a single outdoor unit. As well as its efficiency, Fujitsu air conditioning has a reputation among installers for “fit-and-forget” reliability and intuitive, flexible and easy-to-use controls. The systems are also designed to ensure installation and maintenance are as easy as possible. Fujitsu air conditioning products offer the best possible value-for money air conditioning solutions with the service and support you would expect from a market leader. Mitsubishi Heavy Industries offer a full range of air conditioning solutions covering split systems, Multi-splits, VRF and CO2 air to water heat pumps. MHI has a proven record in providing highly reliable equipment that is energy efficient at the highest level. Pure Air offers complete solutions across the entire Hitachi air conditioning and heating product range, enabling you to source all types of equipment to suit any applications from one company. We will ensure that your requirements are met from initial contact through to quotation, order, delivery and beyond. Founded 2017, Pure Air Distribution Ltd have over one hundred years combined experience in the air conditioning industry. We are fully committed to forming and sustaining a strong relationship with each customer, using our extensive knowledge and expertise in the industry to exceed customer expectations, promising innovation and a continual pursuit for improvement in an ever-changing environment. Pure Air Distribution Ltd – committed to Hitachi delivering air conditioning excellence! Toshiba Air Conditioning is a global leader in high efficiency, high performance award-winning systems which are used to maintain a comfortable, high productivity environment in offices, shops, hotels, hospitals and healthcare facilities, universities, leisure centres and residential applications. Our extensive range of VRF systems offer the highest level of efficiency of any such system available on the market, contributing to reduced running costs and lower CO2 emissions. Toshiba’s R32 product portfolio has been extended with a range of digital inverter and super digital inverter split systems offering reduced refrigerant charge and exceptional efficiency, again providing industries top score in SEER and SCOP. Our commitment to protecting the environment was demonstrated by Toshiba becoming the first air conditioning manufacturer in the UK to be officially recognised as a CarbonNeutral® business. Dynamic and innovative, Toshiba is committed to offering customers the best and most efficient technology available, supported by the highest levels of customer service. Training is an important aspect of our commitment to our customers and we are the first manufacturer to launch a subsidised flammable refrigerant training scheme as well as being the lead sponsor for Skillfridge to help introduce young engineers into the world of HVAC.